Snakes Head Fritillary bulbs (fritillaria meleagris) from Wildflowers UK. 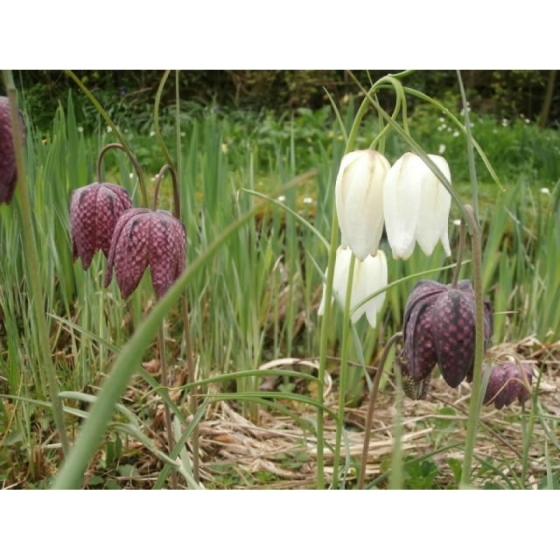 Snakes Head Fritillary Bulbs can be ordered at any time of year but will only be dispatched between October and November whilst bulbs are fully dormant. If possible please ensure orders reach us before mid-September, to ensure autumn dispatch. Snakes Head Fritillary -fritillaria meleagris is a very desirable wetland Wildflower that has sadly become very rare in the wild large largely as a result of habitat loss and the draining of water meadows. The nodding bell shaped flowers are chequered purple, occasionally white and appear in April. 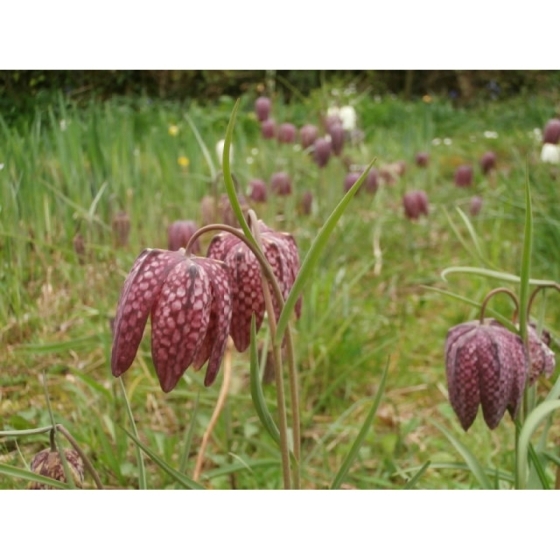 Snakes Head Fritillaries make a wonderful garden plant where they can be included in a spring meadow or around the edge of a pod or bog garden. Although cultivated varieties are available, the Native British species fritillaria meleagris can work just as well giving a more natural effect. Snakes Head Fritillary flowers are very attractive to many insects including bees, and plants will tolerate some sun or semi- shade. 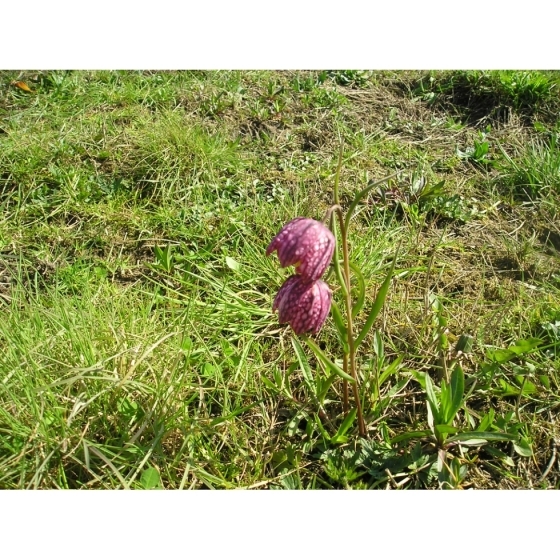 Snakes Head Fritillary bulbs will establish best on very moist soils that don’t dry out and it is possible to introduce and establish bulbs in short grass. Snakes Head Fritillaries look best growing alongside other early wetland wild flowers such as Cockooflower or Marsh Marigolds. Snakes Head Fritillary bulbs can be introduced to their permanent planting positions in October and early November but it is best not to plant them beyond mid November. If the weather prevents planting, then bulbs should be stored in a dry, cool shady place until things improve. Stored carefully in this way Snakes Head Fritillary bulbs should keep for at least a week or longer. A hole approximately 3 times the length of the bulb is required when planting. Snakes Head Fritillary bulbs will establish more readily if a very damp soil can be found in a shady position. Flowers should normally appear the following spring.